What is soft, cuddly and furry all over? Marmot! 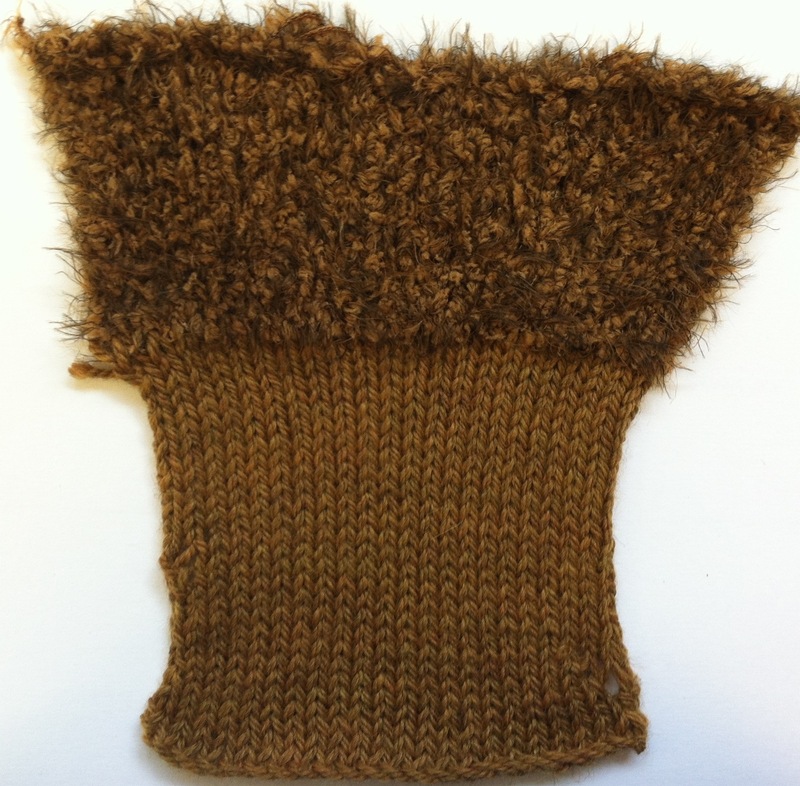 This yarn’s soft fur-like texture lends itself to many fun accessory patterns, but Norah believed it would make a lovely garment, too! 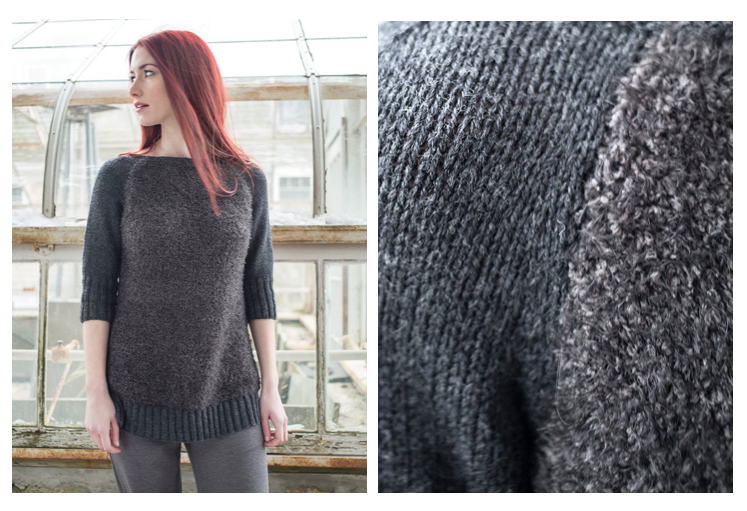 Splice is a simple pullover that combines both Vintage DK for the sleeves and Marmot for the body. 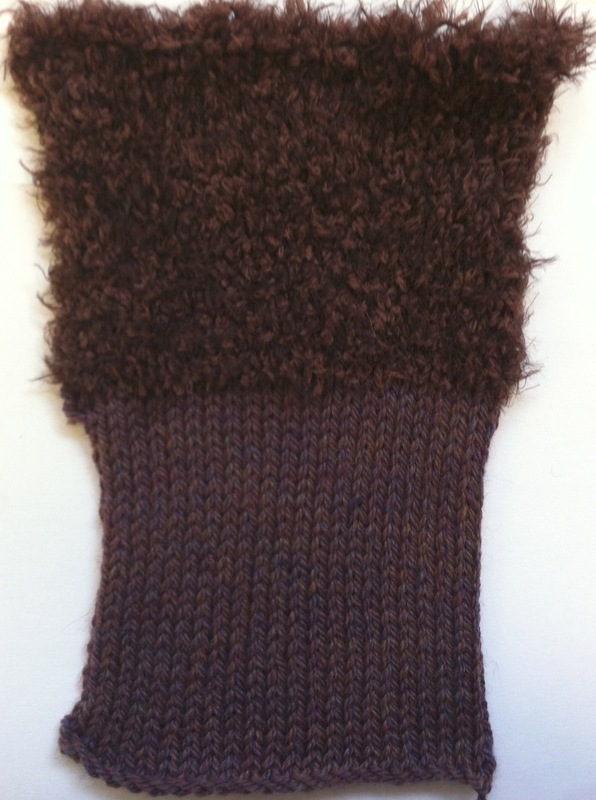 Some of you have written in excitedly asking if we had any other yarn combination suggestions. Here’s some ideas I came up with, but you can take a look at the Vintage DK shade card and the Marmot shade card for some crazier combinations. These color combinations could also work for other Vintage and Marmot accessories, including Klukshu, Lorne, Laberge and Enrol. I hope you enjoy knitting with these yarns! Love the suggestions, especially the dark purple and the dark grey. I think we are going to see lots of knits with a combination of textures in stores this winter. 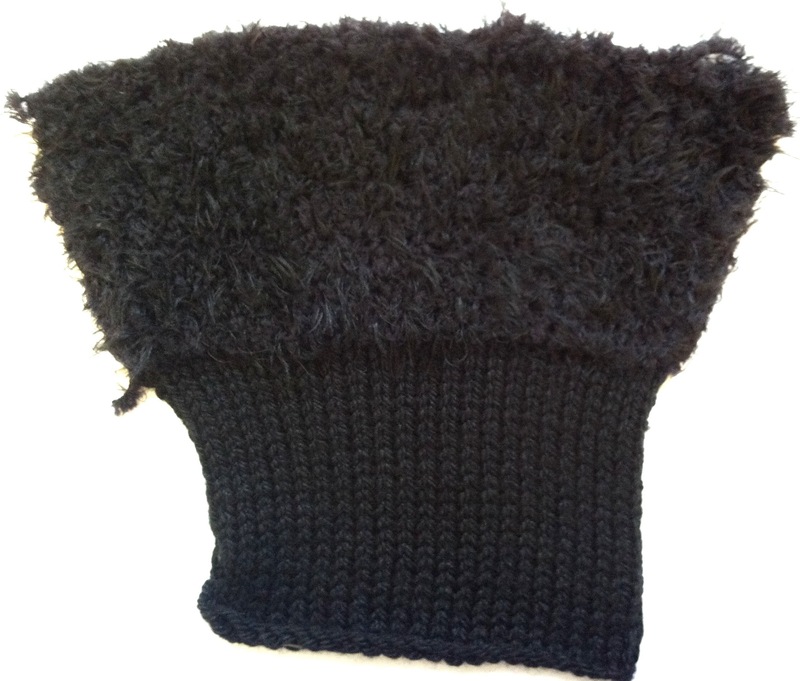 Excellent way to knit your own on-trend sweater! Thanks! 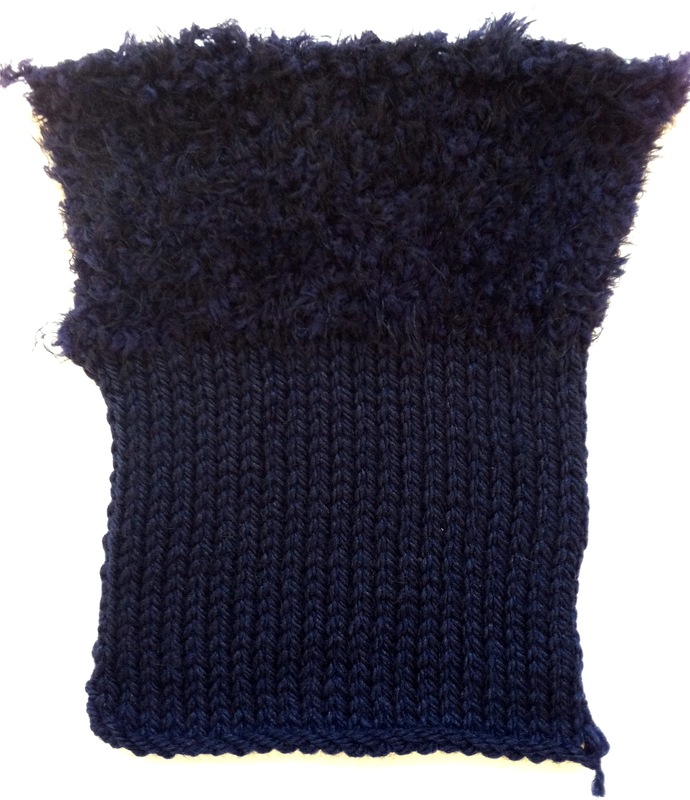 Yes, I think it would be exciting to see the two yarns mixed up in different ways to create a new textural surface !